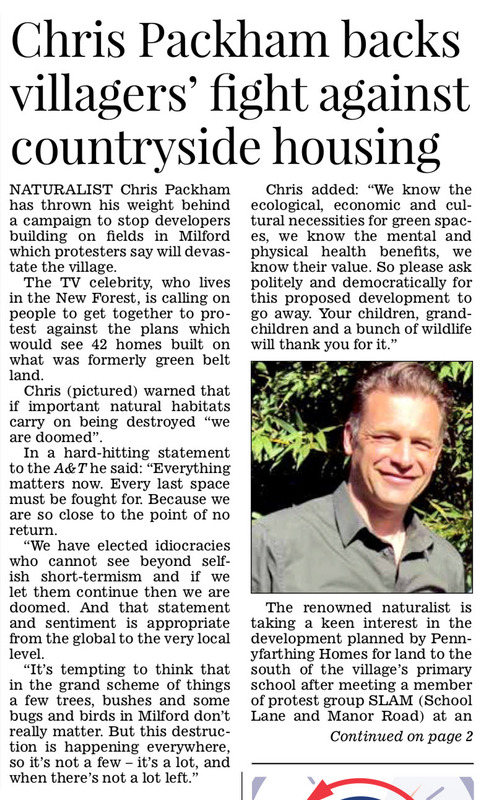 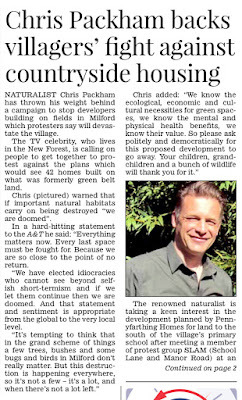 The local A&T newspaper has reported that TV Naturalist Chris Packham is supporting SLAM, the Milford on Sea group opposing the new MOS1 housing development in the village. 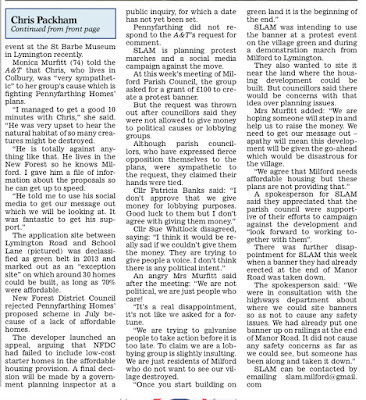 The article can be read below. 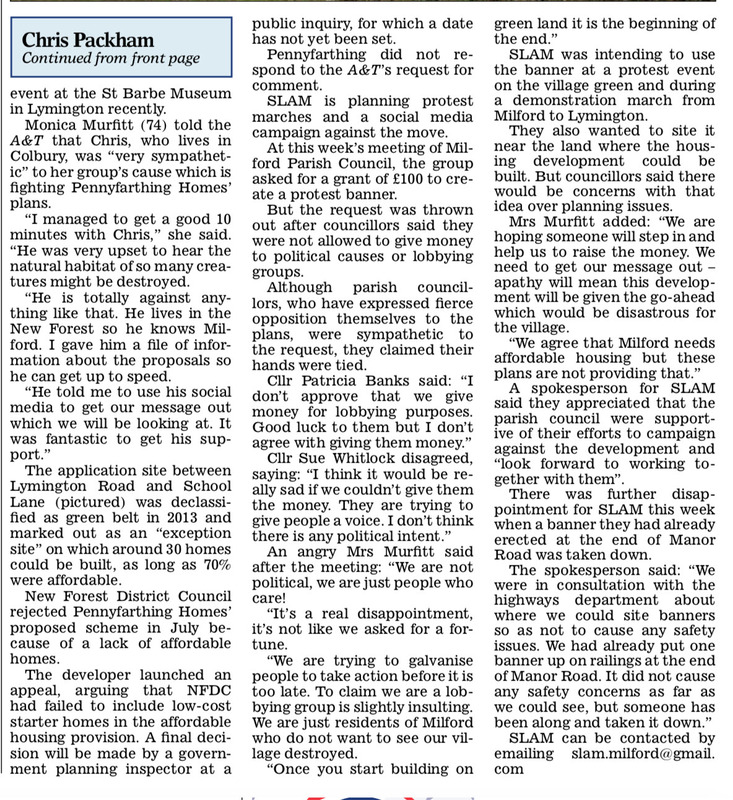 The SLAM School Lane & Manor Road group are also organising a Banner Photo Shoot with a press photographer from the New Milton Advertiser on Saturday 3rd November at 10.30am.